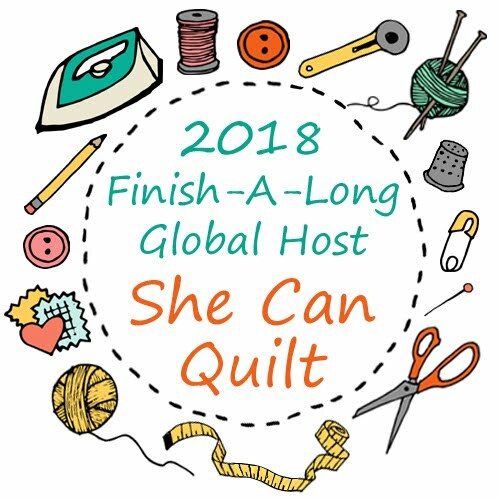 she can quilt: Look - Ta Da! Today I get to tell you about Look. She is about 47" square after a couple of trips through the washer and dryer - she will relax some once she is used for a bit as the dense quilting pulls in initially but will with use, like your favourite jeans, will stretch out a little. That photo above is the best one I have, which my brother was able to capture. Look came with my son and I on a spring break trip to Boston and Martha's Vineyard and she is going to stay on the island for good. We took her to the beach. This is at Lucy Vincent Beach, where it was far windier than this photo suggests. This quilt is a nice lap size or large wall or baby size quilt. She was made using my Consider pattern - which I keep saying will be ready for release soon, and I am still saying, soon. 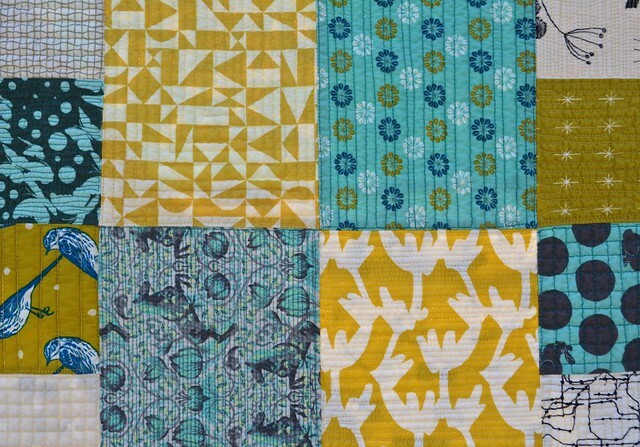 Look was quilted with different colours of threads - yellows and aquas. 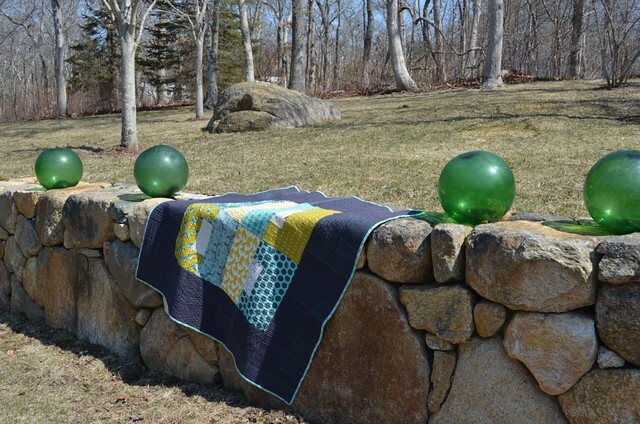 The border was quilted with a variegated Aurifil 50 thread. The quilting is basically all variations on lines, and I had such fun quilting this quilt. 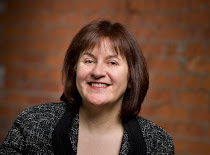 This photo was taken with a bit of sun at the back, so you are seeing a bit of the backing showing through. You can see some of the fabrics and also the different quilting areas. These fabrics were originally a blogger's bundle that I picked out with Daryl from Fabric Spark and I still just adore them together. For the back, I used some larger coordinating pieces. I am totally smitten with using 4 - 8 big blocks of fabrics as a patchwork back. There is enough piecing to make it unique and interesting but not so much as to take too long to compose and make to back when you are eager to start the quilting. You can also see the binding in this photo. 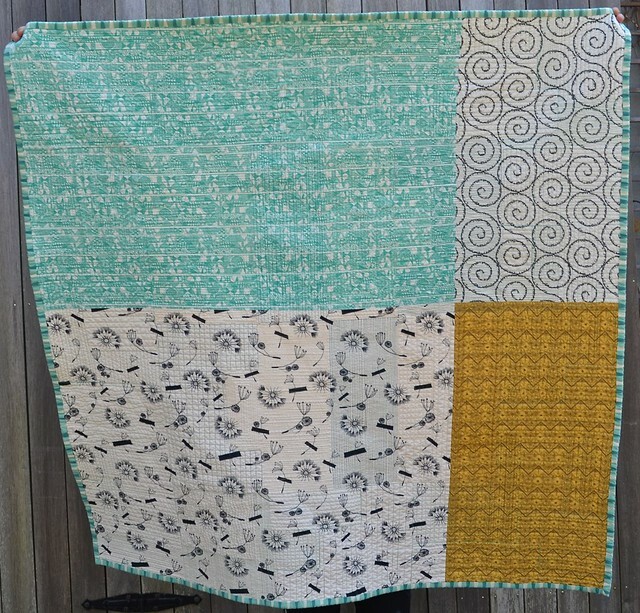 I used the Backgammonish Aqua print by Melody Miller for the binding and I fussy cut it to make the diamonds line up nicely on the front and back - I really think it is a prefect binding fabric. Although this pattern has a right side up in my mind, it works both ways - the photo above is sideways to me. It is hard to photograph the Kona Charcoal borders well. You can see the quilting in the borders well here - and it was totally inspired by the lessons I learned from Krista Withers at my QuiltCon workshop and also by Carolyn Friedlander's quilts. There will be more of this style of breaking up the quilting of negative space in my future for sure. Martha's Vineyard is just starting to wake up for spring. There are crocuses blooming, grass greening up, and buds on the trees but right now the whole island is sort of beachy browns and greys. It has been a great visit and I even managed to put both feet in the Atlantic Ocean as a rogue wave caught me trapped by a bunch of big rocks. Now we are off for a transportation day, cars, ferry, planes and a bus. Look was on my Q1 Finish Along list - which is here - and my only finish of the three. 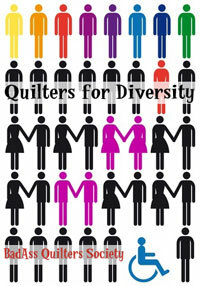 I'm close to finishing the winter quilt, so I think that next quarter's list will be similar to this one. If you have not yet linked up your Q1 FAL finishes, you have about a day and a half left - time to get that done. 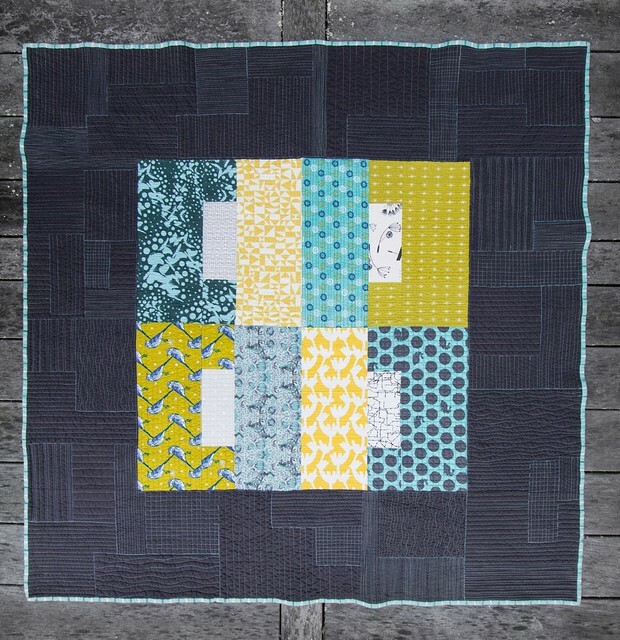 This is lovely - a wonderful mix of fabrics, with your quilt design accented so nicely with your quilting and as I've mentioned - a perfect binding. Delightful photo shoot too! Love when that can happen. Perfect size for the beach. Such a lovely quilt. Look goes so well with Martha's Vineyard! 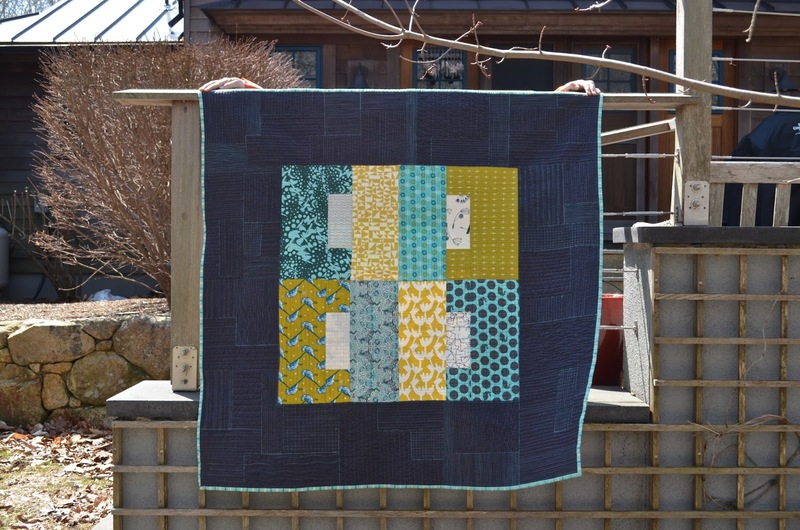 I love that quilting, and your blogger bundle hits the spot every time. So glad you had a relaxing break!! How fun to go the East Coast to get some great photos of your newest creation. Lovely background quilting in those borders, and fun mix of fabrics. Hope you had a great time! Another four star quilt, Leanne. 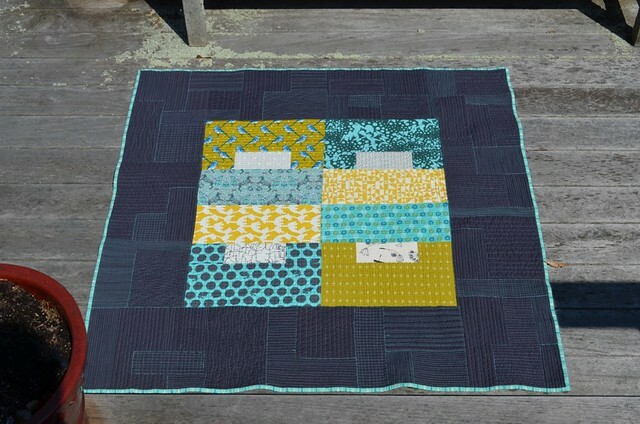 I absolutely love your color choices and how the border quilting makes it look like it's patchwork too. Beautiful finish. I love the quilting on this. It looks fantastic! The quilting is so great!!! It looks like a super soft quilt and your blogger bundle is an outstanding collection of prints, Leanne. I love the way you quilted it. Nice photo shoot as well. 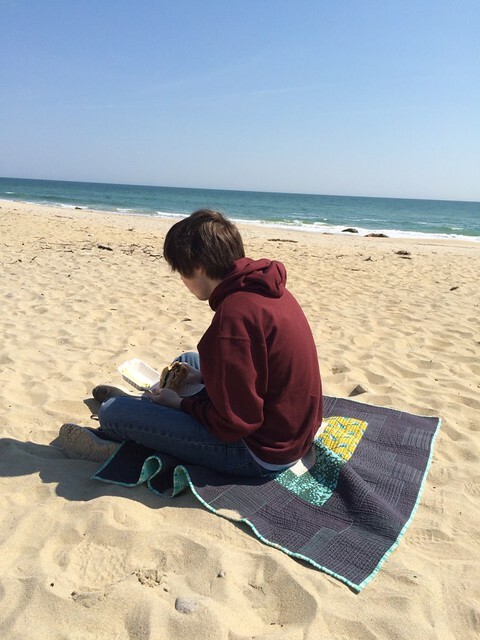 Look is beautiful and it was lovely to see it in use on the beach. Great quilting experimentation. This is lovely! 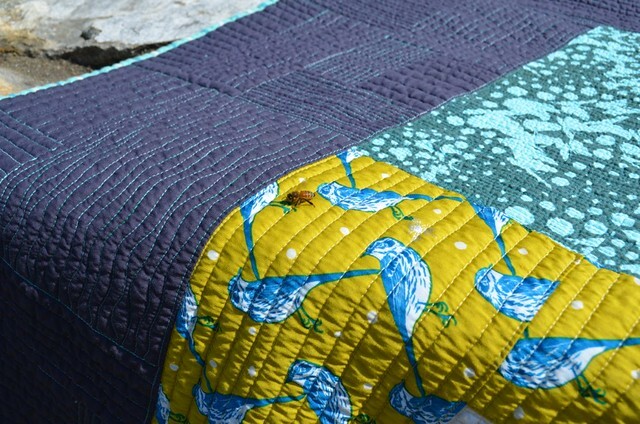 I have been reluctant to do dense quilting like this, but I do love the look! 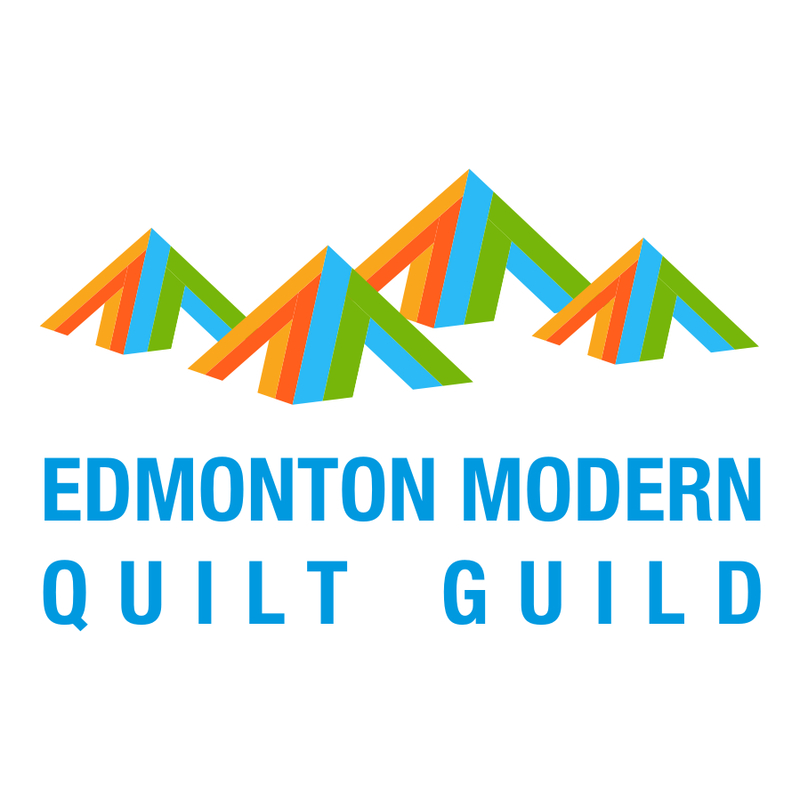 Approximately how much thread is used in the quilting for a quilt this size?